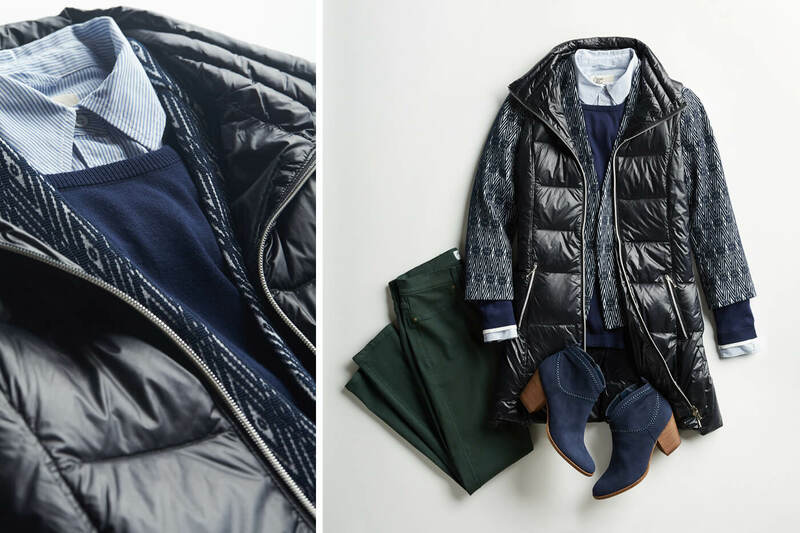 Fall is prime time to perfect your layering game with some creative thinking. We’ve rounded up some key players for autumn, just mix and match your favorite tops and bottoms to set yourself up for the season. Keep reading to see how to layer up this season! Ahh, let us count the ways we love our jean jackets. Whether we’re wearing it over a sundress or layering up for cold weather, the jean jacket is our favorite piece to top off our outfit with. Add heavyweight knits: We’ll be honest here, jean jackets aren’t the warmest pieces in our closet. To cozy up, add a chunky knit sweater underneath. Try double the denim: Just can’t get enough of your blue jeans? 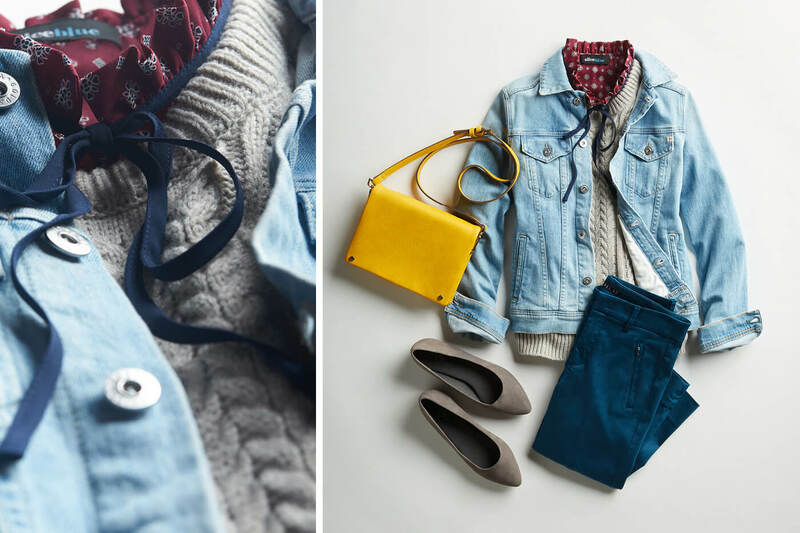 Layer a chambray or…gasp, another denim jacket underneath. The key here is to try two different—like a medium wash jean jacket with a dark denim chambray below. The key to staying warm without the bulk? Puffer vests. Ditch the sleeves this season (when it’s not too cold out), then reach for your favorite sweater staples. Add structure to your vest: Start by grabbing your long cardigan of choice and layer it over a simple white tee or tank (depending on the weather). Then, add your puffer jacket. Play with lengths: Let a duster cardigan peek out from under your puffer vest or try a longer length puffer to add dimension to your outfit. Try contrasting colors: If your outer layers are dark, choose interior layers on the lighter end of the spectrum. The contrast in colors will help keep your layers look distinct, not bulky. The classic button-up. Whether it’s crisp white or a comfy chambray, we’ve all got one in our closet. Here’s how to layer them this fall. Grab a sweater: You’ve got your button-up, now grab a pullover sweater and let your collar peek out (or pop it if you’re in the #mood). Lay on the leggings: Dress down a polished top with a pair of sleek leggings or joggers for an athleisurely spin. Top it off: If you’re all in on the athleisure look, wear a bomber jacket! A basic black or embroidered bomber will take you the extra style mile. Wondering if it’s turtleneck time? We give you full permission to break them out! A lightweight knit turtleneck is our go-to when you’re trying your hand at layering. Here’s how to layer a knit turtleneck this fall. Add a less than basic top: For your anchor piece, consider a silky cami or top. Have a low-cut top that you feel too modest to wear on its own? Layer your turtleneck right under and head out the door. Pair it with prints: Take those well-loved spring and summer prints into fall with a knit turtleneck. 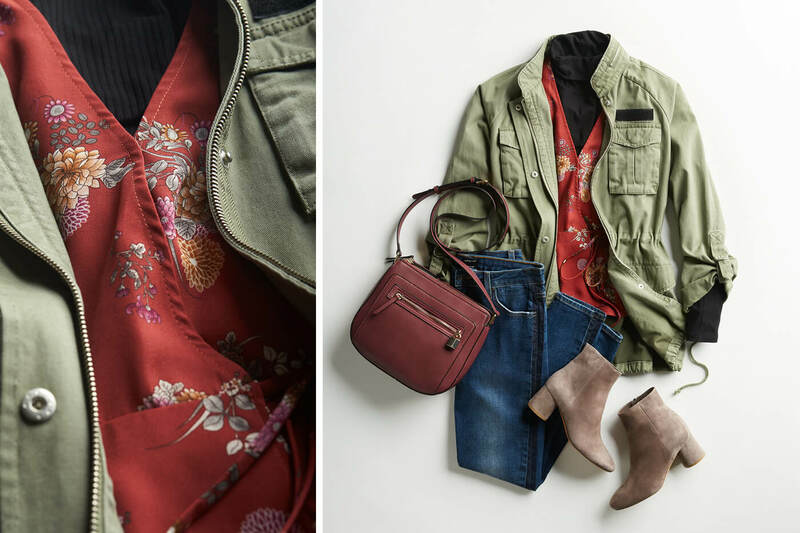 Floral kimonos layered over your turtleneck is an easy (and comfy!) way to layer. Keep it classic: Turtlenecks are the ultimate staple in a classic woman’s wardrobe. Get one in black, white and grey to carry you through the season. 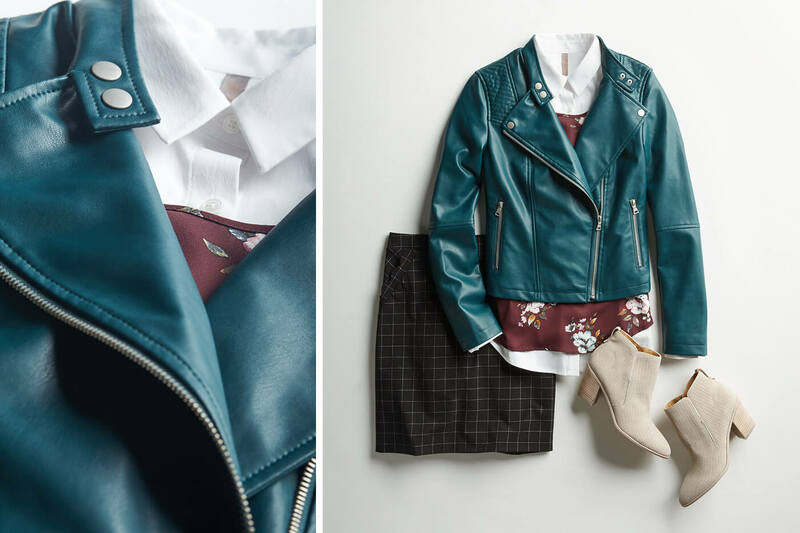 How are you going to layer this fall? Tell your Stylist about the pieces you’re coveting!